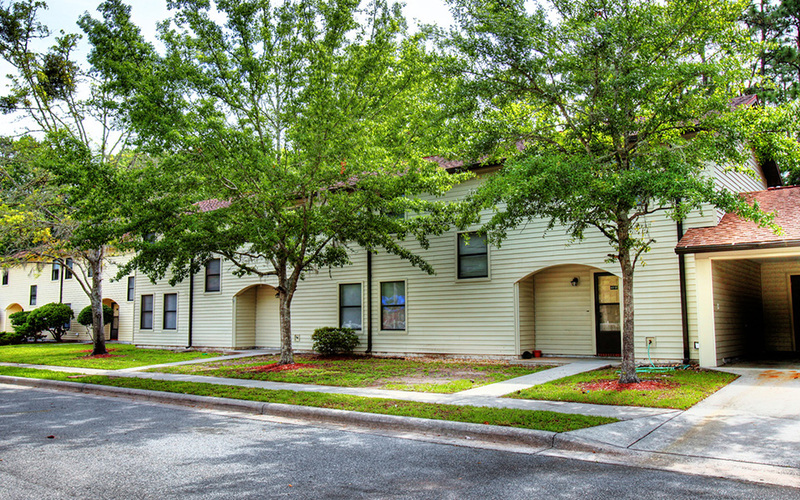 NSB Kings Bay Homes is comprised of three neighborhoods and serves Active Duty military personnel stationed at Naval Submarine Base Kings Bay, as well as other qualified applicants, including military retirees, DOD employees and the general public. We invite you to explore the NSB Kings Bay Homes neighborhoods and learn more about the various home styles and features available in each area. The Eagle Estates neighborhood features two, three and four-bedroom homes with central heating and air conditioning, ceiling fans, porch and much more! Residents in this neighborhood enjoy close proximity to the community center which features a splash park, basketball court, and sand volleyball court, as well as several playgrounds located throughout. Polaris Point offers two, three and four-bedroom homes featuring fully-equipped kitchens, garage/carport and ceiling fans. The neighborhood also offers residents easy access to several playgrounds, a dog park and recreational trails. Two, three and four-bedroom homes are available in the Trident Terrace neighborhood. Residents enjoy a variety of home amenities including fully-equipped kitchens, garages and ceiling fans. Trident Terrace also offers several playgrounds and basketball courts.